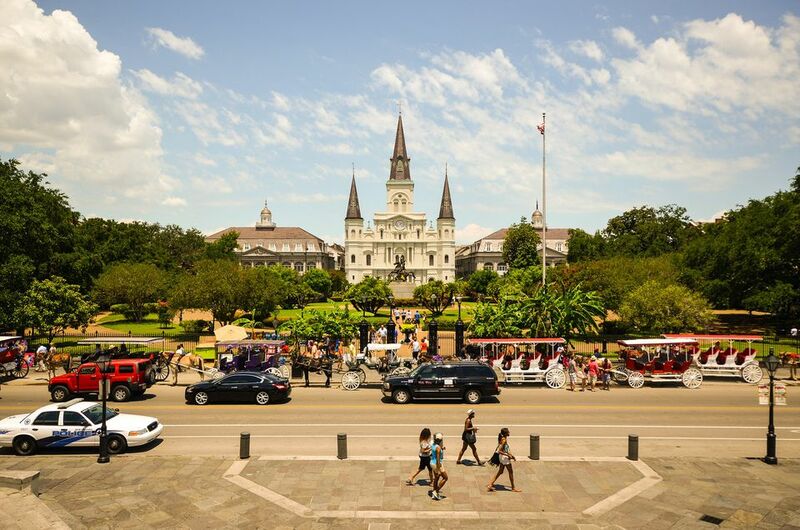 We all know the French Quarter is one place not to miss in New Orleans. But, there's so much more to the French Quarter than Bourbon Street and so much more to New Orleans than the French Quarter. City Park in New Orleans is a 1300 acre park in the heart of the city. A natural bayou runs through it and at its edge. With an antique carousel and miniature train, it's a great place for kids. City Park also encompasses the New Orleans Museum of Art, the Bestoff Sculpture Garden, the Botanical Gardens, and one of the largest stands of live oak trees in the world. The Audubon Institute operates several world-class destinations for families in New Orleans. Audubon Park and Zoo is a must-see for any visitor to New Orleans. It's conveniently located in Uptown New Orleans and accessible on the St. Charles Avenue Streetcar. With its lagoons, live oak trees, golf course, and running course, Audubon Park is now an oasis in the middle of a densely populated area. The Audubon Insectarium in on Canal Street at the edge of the French Quarter and the Aquarium of the Americas is a short walk away on the Mississippi River. Mardi Gras, the biggest free party in the world, is something everyone must experience at least once. If you've only seen it on TV, you know nothing about Mardi Gras. Come see for yourself. Now that you've been to Mardi Gras, get down to New Orleans for Jazz Fest, the other major event that is not to be missed. The New Orleans Jazz and Heritage Festival is held on the last weekend in April and the first weekend in May and attracts artists and visitors from all over the world. Walking through the Garden District with its gracious mansions and Magnolia trees is a great way to spend a spring day. Built by the Americans who moved to New Orleans after the Louisiana Purchase, this neighborhood is 10 minutes, but worlds apart, from the French Quarter. The Warehouse/Arts District, a short walk from the French Quarter, is the home of many art galleries, museums, and trendy restaurants. Magazine Street in Uptown New Orleans is a shopper's dream. It runs for six miles and along the way, there are locally-owned boutiques with clothes, furniture, affordable antiques, and of course, restaurants. Plan to spend the whole day there. When you come to ​New Orleans, leave your diet at home. It'll be there when you get back. When the time comes to review your life, you will not say, "I wish I had eaten less when I was in New Orleans." So, come and enjoy the fantastic food!